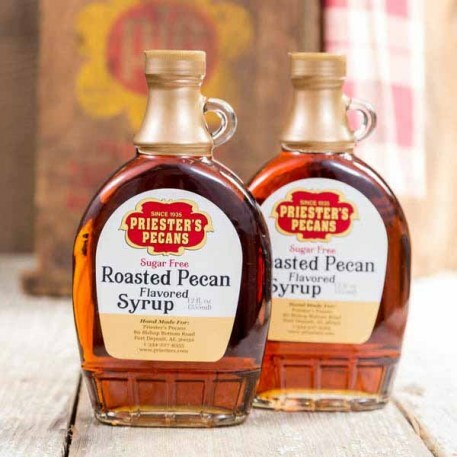 The natural flavors of our Roasted Pecan Syrup are combined with a sugar substitute called "maltitol." For a sweet, rich treat indulge yourself with our Sugar Free Roasted Pecan Syrup by topping your ice cream, cheesecake, pound cake, and any other desserts. 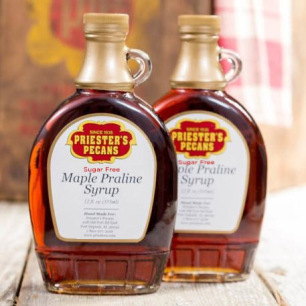 Our kitchen recommends serving this delightful sugar free pecan syrup over pancakes or waffles and adding a serving of our delicious heart healthy pecan pieces. I've been using it for years, the flavor is always consistent and it survives the shipping. 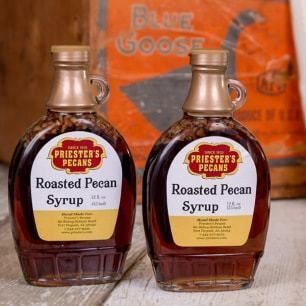 "Tasty Product & Excellent Service"
The sugar free Roasted Pecan Syrup is very tasty. I'm very pleased and appreciated that the product arrived on schedule when that meant it was shipped during the time Hurricane Maria had some effect in your region. Extraordinary!